Older women who opted to put off Botox until their 40’s also don’t know what to expect. Once they see the smoothing of wrinkles, their heightened brows, lifted eyes swear by it and often add fillers and other procedures to the mix. Dr. Leonard Hochstein, Board Certified Plastic Surgeon of over 20 years and his trusted, highly credible Physician’s Assistant Jenya Titova, the “Botox Master” at Hochstein MedSpa in Miami, Florida offers some insights and a fast beginner’s guide to Botox. It is important to know what to ask about Botox. Below you will find some questions and answers. If this does not satisfy your curiosity, you are welcome to ask more questions. It is always a good idea to do as much research as possible. 1. Will it hurt? You want to know about the actual procedure and its immediate aftermath. Will there be swelling and blotchiness? “Everyone reacts differently given skin color, texture and injection site. It is important you get a real expectation,” explains Dr. Hochstein. Ms. Titova, suggests taking arnica tablets starting two days before treatment to reduce any bruising at the injection site can be very helpful. “The actual injection feels like a small prick. It’s not deep like an injection at the doctor and the needles are smaller,” assures Jenya Titova. Dr. Hochstein advises women to get their Botox done at a reputable MedSpa or plastic surgeons office administered by licensed professionals. 2. What will my results be like and how long will they last? Botox isn't cheap and it often requires multiple injections to achieve a desired look. Everyone takes to Botox differently but on average the result lasts 2 to 6 months with 4 months being the most common. The person administering should be able to gauge anticipated results depending on area so you know what to expect before committing money and time. “Botox done to smooth deeper wrinkles like frown lines and crow’s feet often see them return within 4 months because it’s such a repeated expression,” explains Ms. Titova. They key here is how much is administered. You want to be clear that you are trying to rid wrinkles and/or lift brows without compromising your ability to express yourself. For example, if you're getting Botox for crow’s feet the injection must target a specific area as not to disrupt the cheek movement. “When you’re starting out with any procedure it’s important to go gradual and keep things as natural as possible. It’s very important to understand how the muscles in the face all connect and work together so you achieve the balance between smoothing wrinkles without compromising facial expression,” says Dr. Hochstein. Some doctors charge based on the region while others charge based on the amount used. It's important to know an estimated cost before treatment. The average cost is between $300 and $900 but again, doctors in major cities with cosmetic surgeons who perhaps treat celebrities and socialites are good at what they do and their rates will reflect that. “When it comes to any procedure you get what you pay for so it’s important to do your research,” advises Dr. Hochstein who has done many procedures on women who compete in pageants, fitness models, and celebrities. According to both Dr. Hochstein and his Physician’s Assistant Ms. Titova, Botox should not be thought of as a face lift alternative, but should be highly considered by a younger patient as a preventative treatment. 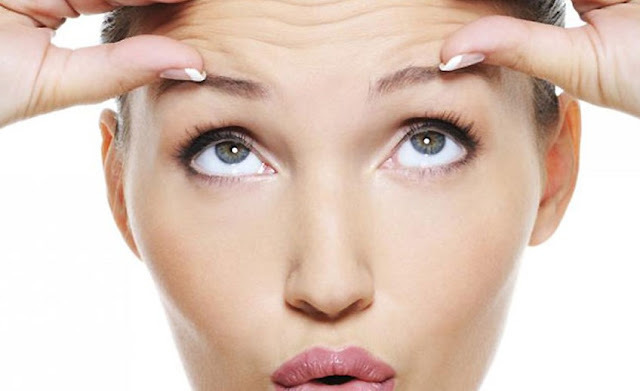 Botox can be started as early as in your 20's to relax expression wrinkles. This way patients can age gracefully without them. Thank you for taking the time to read this beauty relevant blog post. We hope that you have found this post to be enjoyable. If you have comments or questions, please add your thoughts in the discussion area below.